OAKLAND, Calif. - Three minutes after Jim Hager started eating M&Ms with a pair of chopsticks, he was headed for the Guinness Book of World Records. 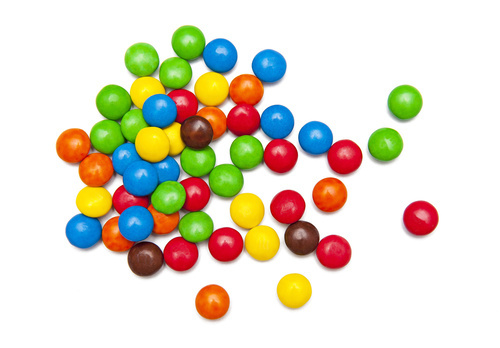 The 47-year-old Oakland resident gobbled 115 M&Ms in 3 minutes Sunday, breaking a previous record of 112 Smarties consumed by Kathryn Ratcliffe of England in December 2002. The new record won't become official until event organizers send documentation to the Guinness association, including a videotape, photographs and written declarations from witnesses, but it seems likely he'll have his place in the list. For his efforts, he received 25 pounds of M&Ms courtesy of a local candy store that sponsored the event. “His kids were very happy,” said store owner Wendy Winter. She said the association gave very specific guidelines: Contestants had to use wooden chopsticks, the M&Ms had to be of the standard variety and they had to be carried to the mouth - one at a time - in the chopsticks. Choose your favorite pair of chopsticks for attempting your own world record at EverythingChopsticks.com.